I was 9 years old, standing in front of a bewildered librarian as I politely asked her where I could find the Sherlock Holmes books as they didn’t appear to be anywhere in the Children’s section. She quietly pointed to the Adult Fiction section where there was a whole stash of them and told I was allowed 6. I read those 6 books within 2 weeks and ever since that moment I have been mesmerized by this extraordinary man captured so wonderfully within Sir Arthur Conan Doyle’s works. Over the years many characters have helped immortalise this great legend, from Basil Rathbone, Jeremy Brett (a personal favourite) to Ian Richardson who was also wonderful in the BBC drama: Murder Rooms: The Dark Beginnings of Sherlock Holmes (2000-2001) as Joseph Bell, the inspiration for Sherlock. So when I heard that 2 new faces were to be cast as Sherlock, the wonderful Robert Downey Jr in Guy Ritchie’s Sherlock to Benedict Cumberbatch (who I am ashamed to say I didn’t really know at the time), I was a little apprehensive but also curious to see what they could bring to this great literary character. The answer is: Quite a lot actually, and I keep being asked ‘but which do you like the best? Robert Downey Jr or Benedict Cumberbatch?’ The answer is not a simple one. Both Guy Ritchie and Steven Moffat and Mark Gatiss have brought something so delectably fresh to the screen within the different formats, as have their leading stars. 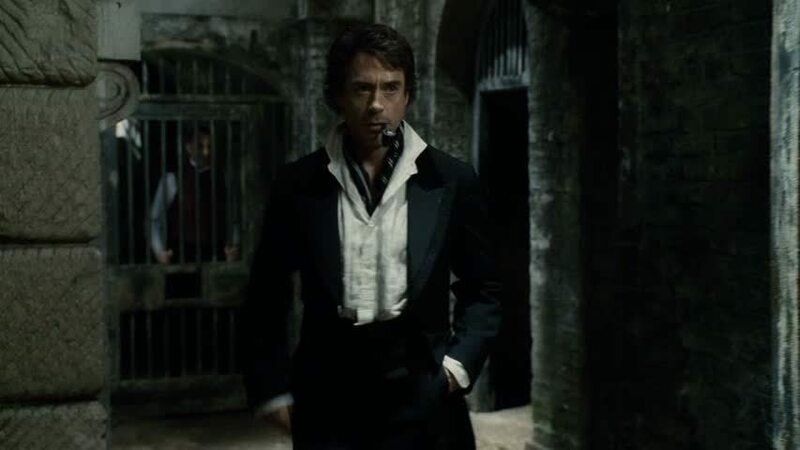 You have Robert Downey’s Sherlock – quick witted, lots of action scenes (as you might expect from a movie), but it is nice to see Sherlock displaying some of his more physical skills along with his mental ones, a fact that has been almost overlooked in past works but it is mentioned many times within the novels that Sherlock was very accomplished in physical combat and self-defence techniques. It also benefits from the cinematic experience like the slo-mo used during fight scenes, the ‘freeze-framing of all the preceding mayhem into elegant graphic stills to recall Sidney Paget’s original magazine illustrations’ for the end credits etc. His representation is also somewhat more light-hearted and quite comedic (the shot of him riding a Shetland Pony in A Game of Shadows, or of him being tied to a bedpost with handcuffs springs to mind), than the previous Sherlocks or Benedict’s portrayal, which often comes across almost cold and calculating at times, but it is an enjoyable take on the much loved character. You then have Benedict’s Sherlock which is beautiful and sumptuous, helped by the fact it is set in the modern day, using things and places familiar to a lot of us and the clever use of the on-screen text messages and web searches. The plot twists never cease to amaze me and Benedict is fantastic at portraying the wonderful analytical mind of Sherlock and at the same time displaying ever so slightly a hint that he is not so devoid of feeling as Sherlock would like to believe himself to be, in the way he feels for John, Mycroft and even Mrs Hudson (A Scandal in Belgravia). 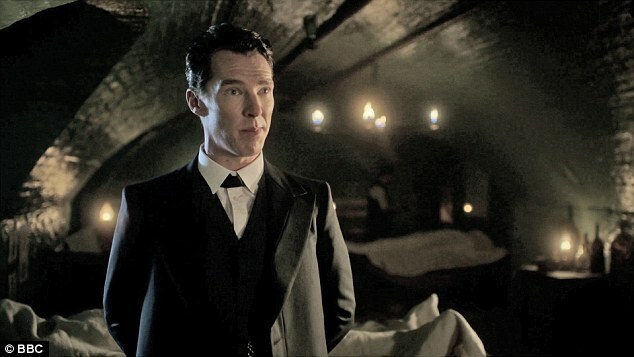 For a Sherlock purist such as myself, Benedict’s portrayal is every bit as described in Sir Arthur Conan Doyle’s works. He is every inch a Gentleman with his extra long tailored coat, great charisma, highly functioning analytical prowess and sharp (‘Look at those cheekbones. I could cut myself slapping that face’) features. In short I love both Sherlocks equally and in their own right. I tip my deerstalker to both actors and their wonderful writers for bringing Sherlock back to our screens, for enhancing his qualities, making him relevant to the modern day and for bringing him to the attention of a whole new generation who have embraced him with open arms like a long lost (but not forgotten) friend. Who is your favourite – Downey Jr or Cumberbatch? Vote in our poll! I stand with you in admiring both. My least favourite would have to be Roger Moore in the TV movie, “Sherlock Holmes in New York.” Liked the story but the casting was very poor. For me, nobody can be compared to Jeremy Brett. He was by far the best Sherlock Holmes ever. I’m a Benedict fan. He brings so much talent to the table, and the fact that the show brings the classic novels to a contemporary context. There’s an intelligence that he brings to Sherlock, but a the same time, a naivety to the people and world around him. It’s a pleasure to watch Cumberbatch bring a character that is so isolated in his own world, interacting with the ‘real’ world. I love the plot twists too.